“Ethiopian flag can be changed if an idea that will bring about national consensus in proposed in the house of representative and the constitution is amended [to reflect the new consensus]” says Ethiopian Federal parliament deputy speaker, Woizero Shitaye Manaye. Government encourage people to use the “legal flag” during the course of celebration of flag day. Yet, Ethiopians are permitted, says the deputy speaker, that they can use the flag they prefer without violating the rights of others to hold the flag that the prefer. The Ethiopian government admitted that there is no consensus on the existing flag although it has been in use for nearly 24 years now after it was constitutionally approved. 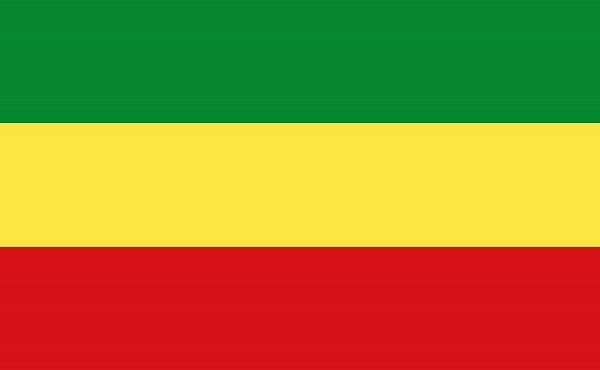 The current flag horizontally placed green, yellow and red colors with a pentagram on blue background in the middle has been passionately detested by Ethiopians across the country. Government had to outlaw any other Ethiopian flag so as to legitimize the unpopular flag but it did not help much. When the Tigray People’s Liberation Front, essentially the champions and sponsors of the unpopular flag, weakened in the central government leading to new administration by Prime Minister Abiy Ahmed in April of this year, Ethiopians openly rejected it and hoisted the Ethiopian flag that patriots carried during the struggle to maintain Ethiopia’s independence. The deputy speaker seem to have noted that when she remarked “Ethiopia has a long history of using flag as a symbol of sovereignty.